Now in their third year leading the program, head coaches Greg DaSilva and Chris Wiggins have been able to fully implement their coaching styles and approach to the sport, and it looks like it is paying off. Gill has already had its best start in recent memory as the Knights are 1-1-1 with a win over divisional rival High Point and a tie against a solid Mountain Lakes program. This fast start comes after a 2-13-1 record last year. With a roster of 13 players, everyone is going to be relied on to contribute throughout the season. With the majority of players sophomores and freshmen, this season will provide a great opportunity for young players to earn valuable varsity experience. 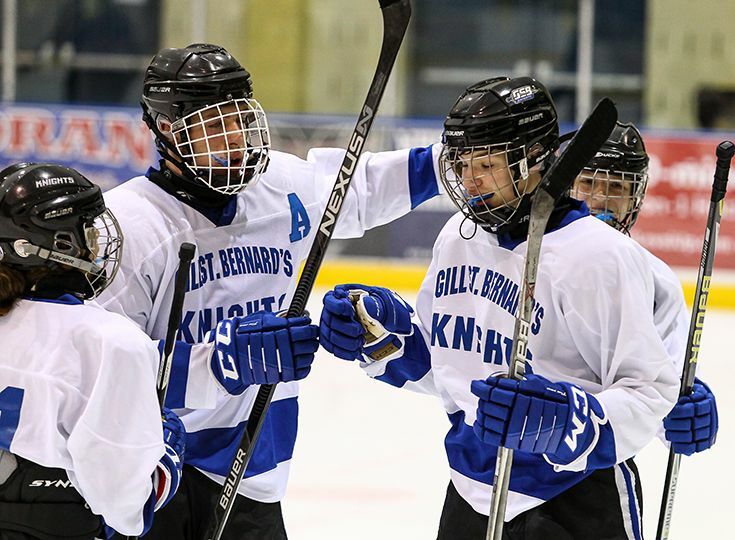 The Knights are currently sitting in first place in the MCSSIHL – Charette Division and they believe that their successful start to the year is something they can maintain for the rest of the season.